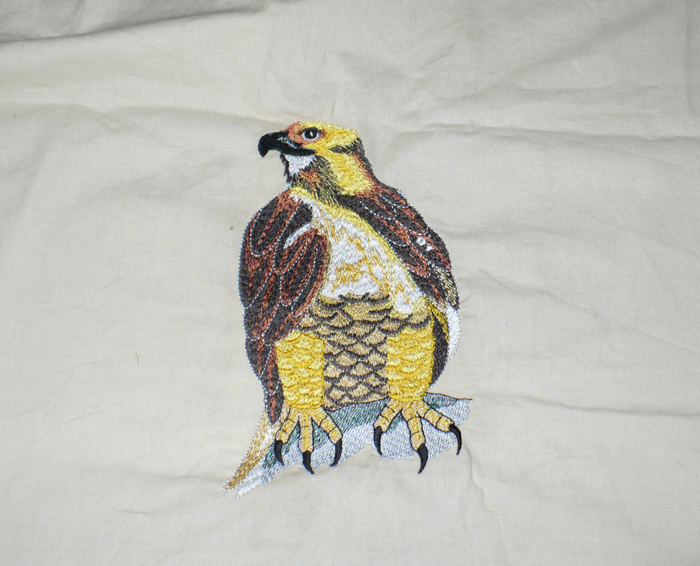 I am excited to offer you custom embroidery. 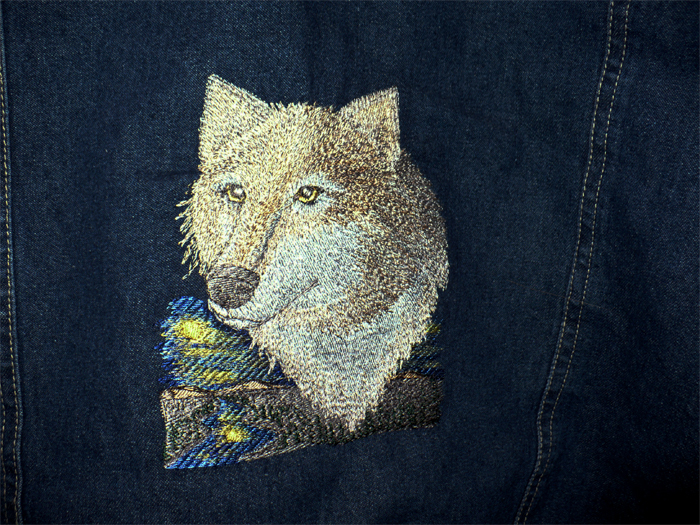 You bring me your garment/Jacket/hat and I will put your design/name on it, or you can incorporate custom embroidery into your quilt. Please be patient while I get this information in place on the website. 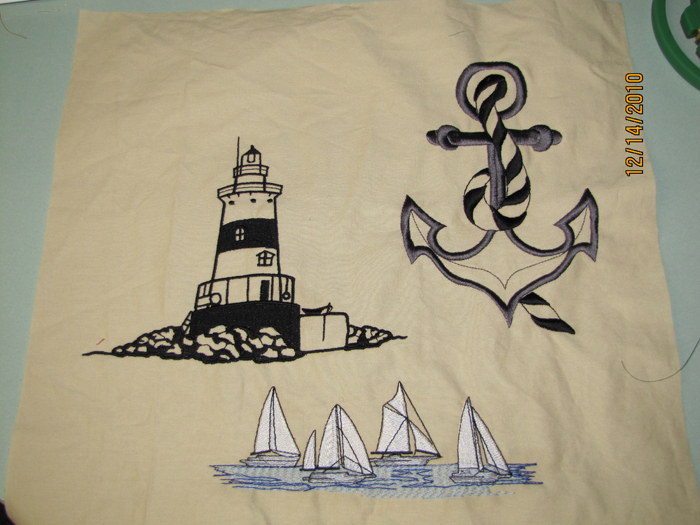 I plan on showing you more samples of my work, stitches I can do, and pricing. 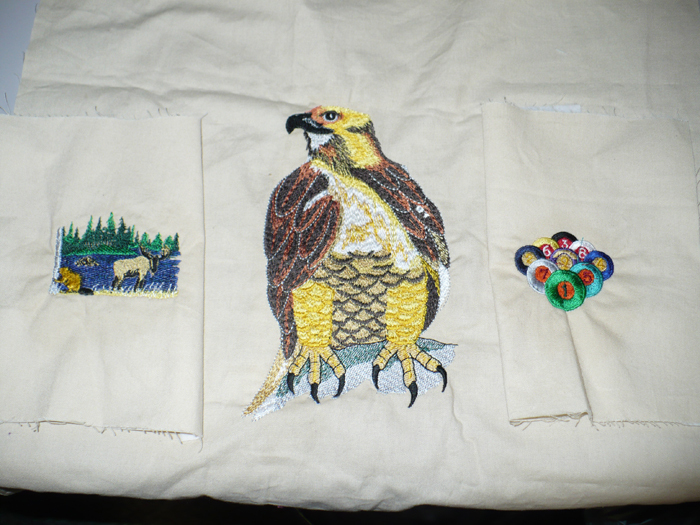 For now, please contact me and we can discuss your project. 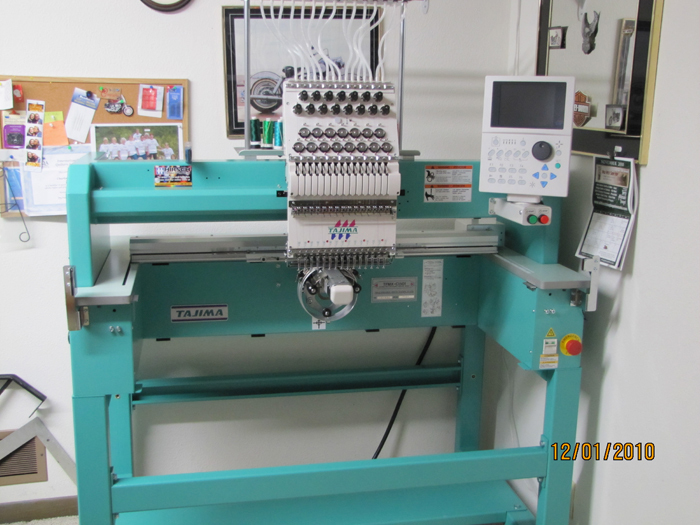 The machine I have is a Tajima 15 needle. 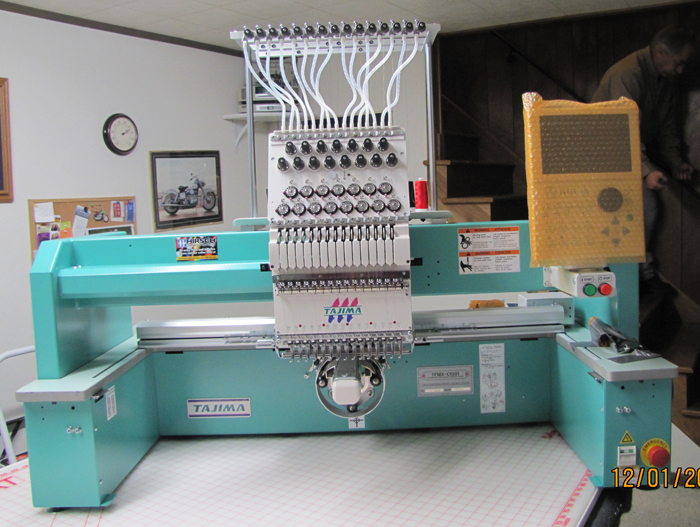 Click the images below to see enlarged pictures of my new machine and some samples.